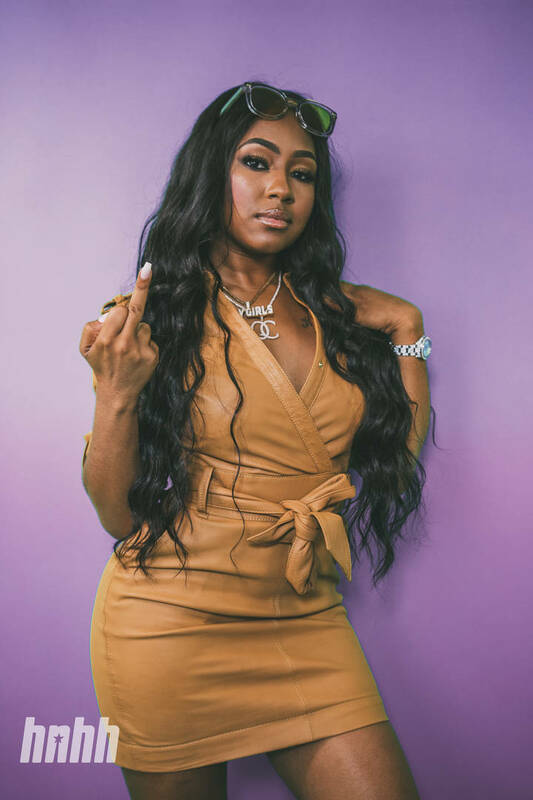 Home>HNHH TV> City Girls' Yung Miami Details Her Weirdest Food Habits On "Snack Review"
Yung Miami has been on the rise for a minute and, although the circumstances have not always been positive, her career has reached new heights in the last year. Her City Girls partner JT remains behind bars but Miami isn't letting her friend's sentence ruin her own career. The City Girls have been rising high with collaborations from Cardi B and others, becoming one of Quality Control's secret weapons. Yung Miami stopped by our office to chat and we decided to take a break from the building, exploring New York City's greatest corner staple: the bodega. What was Yung Miami picking up? She's got her favorites, making sure to bring back Hot Cheetos, sugar straws, milk, Pringles, gummies and more. Sitting down to enjoy her purchases, Miami went through a few of her preferred snacks and let us know the significance of each one. She started off with the Cheetos, noting that she used to cop a bag and have them every day for her lunch at school. She also shared that when she's feeling adventurous, she'll pair Cheetos with sausages, which sounds like it may actually be pretty good. She's also known for adding sugar to her Honey Nut Cheerios, sucking her sugar straws to keep her busy and eating gummy worms "just to eat 'em." Yung Miami didn't leave entirely satisfied with the bodega's selection, saying that they were missing sunflower seeds and quarter juice. In fact, she said she was about to pop by McDonald's to pick up some chicken nuggets. The snacks just didn't do it. Watch the full episode above. HNHH TV City Girls' Yung Miami Details Her Weirdest Food Habits On "Snack Review"